In my very own personal opinion, it is very important to have an elegant looking watch on your wrist. First, because it’s very annoying to get your phone out every time you need to see the time. And secondly, wearing a watch is kind of empowering for me. There is something very special and bold about stainless steel or a leather strap around your wrist. So, if you are looking for a watch to purchase, well you have come to the right place and today we are going to dig deep on the topic are Michele Watches Good? If you are a male, there are good chances you might have never heard of this brand particularly, because this company manufactures luxury watches for women of all taste and style. It doesn’t matter what your age is, the watch you are wearing is going to dictate your style, personality, and taste. Whether your style is elegant, chic, classy or sporty, your taste towards your watch should show your commitment towards the quality of the watch. For someone who likes to be the center of attention, Michele watches will definitely seek all the attention to your extra shiny watch. The gold and diamonds embedded on the watch are all about confidence and style. They also make casual watches for your daily wanderings. They make beautiful timepieces which cause a woman to indulge in herself. And we think you’ll agree when we say that this elegant, style yet sleek timepieces look gorgeous on any woman who wears them. 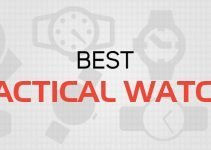 The watches are certainly not rugged like Nixon watches but then again, these watches aren’t built for skateboarders, hikers, and climbers. They are made for more of a casual, decent and formal look. Surprisingly, you won’t find Michele watches far in the race of technology and innovation. This company is more about style and elegance then creating and introducing new technology in its watches. the company is all about offering the most elegant look and it doesn’t waste much of its time on doing research and development. Michele’s Urban Watch screams urban Royalty all over. The timepiece glitters all over your hand with the diamonds embedded on the watch. The watch definitely adds character to your outfit, to give a stunning yet most classic look. Besides being the most attractive timepiece, this watch is water resistant up to a depth of 165 ft deep in the water. The watch has amazing scratch resistant properties. The best of all, it has a sapphire crystal dial which maintains its flawless face. It also contains quartz movement to give a classic touch. It also has a small second’s subdial with a solid back case. 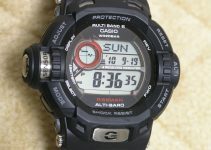 It lacks very basic and most popular features like date and day display. The diamonds, in particular, are very appealing to all women. This watch is seen to be flaunting diamonds all over it. Michele watches add a classic touch to your personality with a mother of pearls dial, topped off with a two-tone stainless-steel case. Its most prominent feature, the two-toned round case of Sidney watch. It comes with a two-year limit warranty from Michele. It has a date indicator which is not present in most of the Michele watches. It has a three-hand analog display with the Swiss movement. It is water resistant but it should not be submerged in the water. Michele watches, in general, have a very feminine appeal to them. 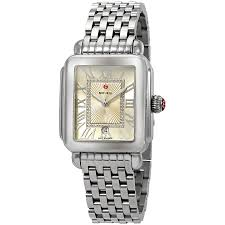 And the same is this case with this beautiful, elegant watch. 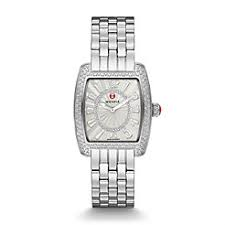 This striking stainless-steel watch features logo etched bezel and a sundial with genuine diamonds attached to it. This watch comes with an interchangeable 18 mm Michele strap. It has a sunray dial. It has the same Swiss movements as the rest of Michele watches. It comes with a date and day display as well. It can sometimes be harder to read the time in dark conditions. 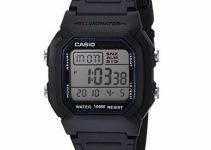 It is the perfect definition of sports watch since it combines functionality with style. Michele Sports sail does it very well. The prettiest watch of it is Rose Gold which oozes all over it. The stainless-steel band is interchangeable with a 20mm Michele strap. It is an imported watch with Swiss movement. This watch features a three-eye chronograph set, into a large readable case. This watch is scratch resistant and is also waterproof. If you are looking for a watch to turn faces, well here is the watch for you. This elegant looking gold tone watch with a stainless-steel case gets all the attention you need. With diamonds all over it, who wouldn’t want to buy it? It has 2 subdials representing 60 seconds and 30 minutes. 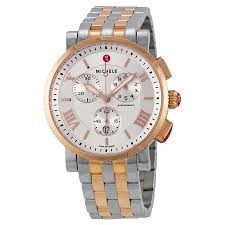 It has a Gold-tone stainless steel case with a Gold-tone stainless steel bracelet to top it off. It also features the pull/push crown. It is made up of scratch resistant sapphire crystal. It is not at all suitable for swimming. When talking about Michele, we are not going to lie that it can cost you a fortune. But obviously, if you are expecting the watch to be embedded with diamonds, it won’t come at an easy price. But the company offers more than 200 models, some of which are very casual and decent and are affordable as well. As good as it feels wearing a watch, you will get a lot of attention wearing it in public. They are simply stunning to look at and turn a lot of faces and cause the people to notice. Most of the luxury brands don’t give you the option to customize your watch at all. They make their customizing part difficult to use and they don’t even show the price until you are done customizing. Michele is one of the brands which keeps customers desires over their own needs, it gives you the option to interchange your stainless-steel band with a leather band if you want. Michele tries its best to make it easy for the customers to shop. 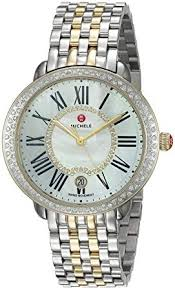 Are Michele Watches Good? Well yes of course they are. But if you are a male looking for a watch, Michele has nothing to offer to you. Unless you are the kind of guy who likes to bring thrill and excitement in the life of the woman in their life by buying one for her. 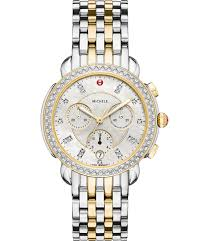 Michele watches are undoubtedly beautiful and they just don’t make an unattractive watch. So, if you do end up buying one, you are going to love it. Because they are not particularly inexpensive and the quality they offer never disappoints. They’ll also turn heads everywhere you go because as we have mentioned earlier, they are simply gorgeous.